Kids love to climb on furniture and fly off like superheroes. 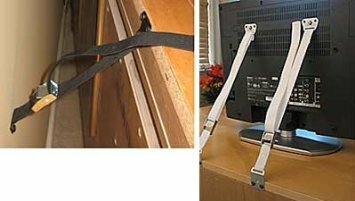 Unfortunately, the more drawers they pull out, kidcotvstrapsthe more likely it is that piece of furniture or a TV will fall over on them, pinning them dangerously underneath. Every 3 weeks, a child dies from a TV tipping over on him/her. With some simple kid-proofing, your house will be safe for them to grow up and maybe one day be real superheroes to someone they love. 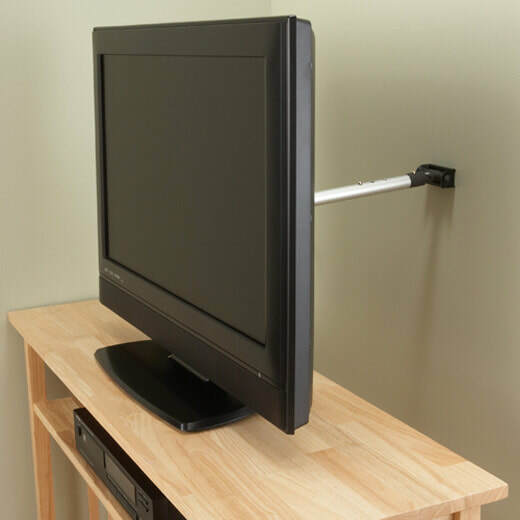 By either using safety straps to secure your TV or a mounting bracket to hang it on the wall, you can reduce the chances of your child being injured by TV tip-over. Don’t forget to secure your furniture to the studs in your wall as well!